Join us for this special program! Lisa Louise Cooke presents four talks at a full day seminar which includes a boxed lunch and silent auction. Advanced reservation required. Please note: No walk-ins will be permitted. 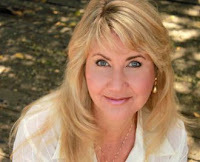 Lisa Louise Cooke, is a media producer and host of the popular Genealogy Gems Podcast, an online audio and video genealogy show available through her Web site, GenealogyGems.com. She also hosts the monthly Family Tree Magazine Podcasts as well as videocasts for Family History Expos. Lisa is the author of the book, Genealogy Gems: Ultimate Research Strategies, and is a national genealogy speaker who regularly speaks to sold-out audiences.